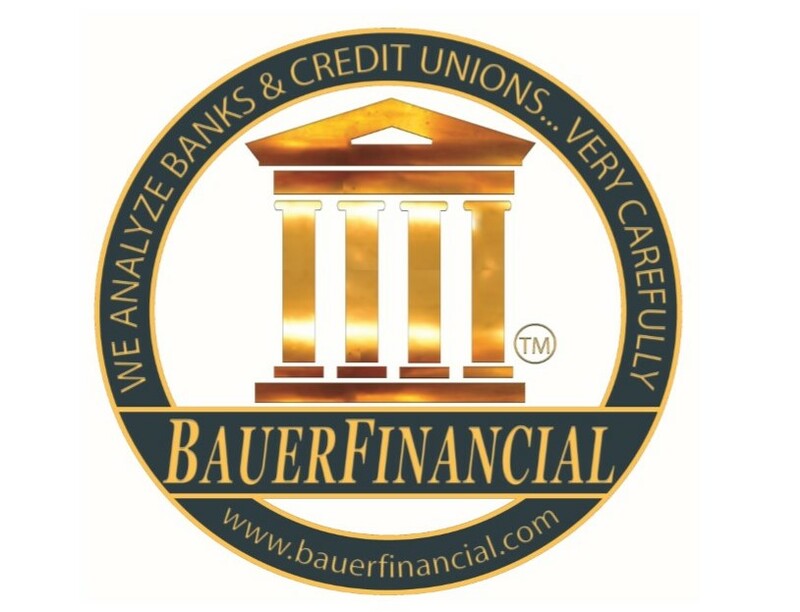 March 12, 2019: BAUERFINANCIAL, Inc., Coral Gables, FL, the nation’s leading independent bank and credit union rating firm announces it has newly released bank and credit union star-ratings (based on December 31, 2018 financial data) available on its website, bauerfinancial.com. Star-ratings are assigned on a scale of zero to five-stars with five being the strongest and reflect the overall financial strength of the institution. By most measures, 2018 was a good year for U.S. banks …but with one notable exception. Consumer loans are on the rise and so are problems associated with them. While total noncurrent loans decreased during the year, noncurrent credit card balances increased 13.8% ($1.6 billion) during the fourth quarter alone. There were no bank failures in calendar 2018. That hasn’t happened since 2006. The number of banks on Bauer’s Troubled and Problematic Bank Report (banks rated 2-Stars or below) is at its lowest level since 2006 as is the number of Credit Unions rated 2-Stars or lower. Actually, in 2006 T & P banks represented less than half of a percent of all banks (by number). Today 1.27% of U.S. banks are considered Troubled or Problematic as are more than 2% of the nation’s Credit Unions. Bauer recommends monitoring the star-rating of your banks and/or credit unions. While the majority are in stellar condition right now, that was also the case in 2006. Then came the housing meltdown. We don’t expect another meltdown, but credit card and student loan debt are reaching disconcerting levels. To find out the rating of your bank or credit union, simply visit bauerfinancial.com. Look up as many ratings as you like. While you’re there, check out our CD rate pages to get the best CD rates in the country and read all about the current status of the banking industry. It’s Simple. It’s Smart… and it’s Free. BAUERFINANCIAL has been providing the public with the knowledge they need to make informed decisions regarding their banking relationships since 1983.